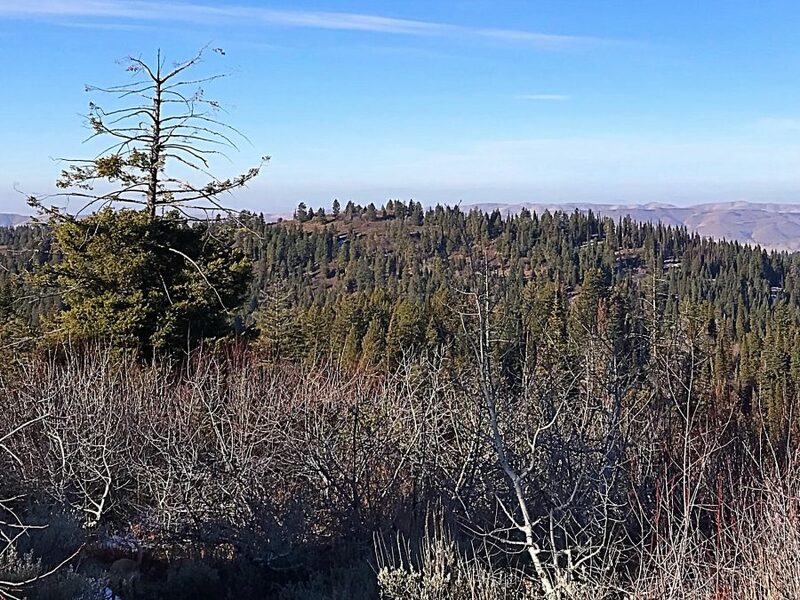 This forested peak is located due west of Dry Buck Mountain. 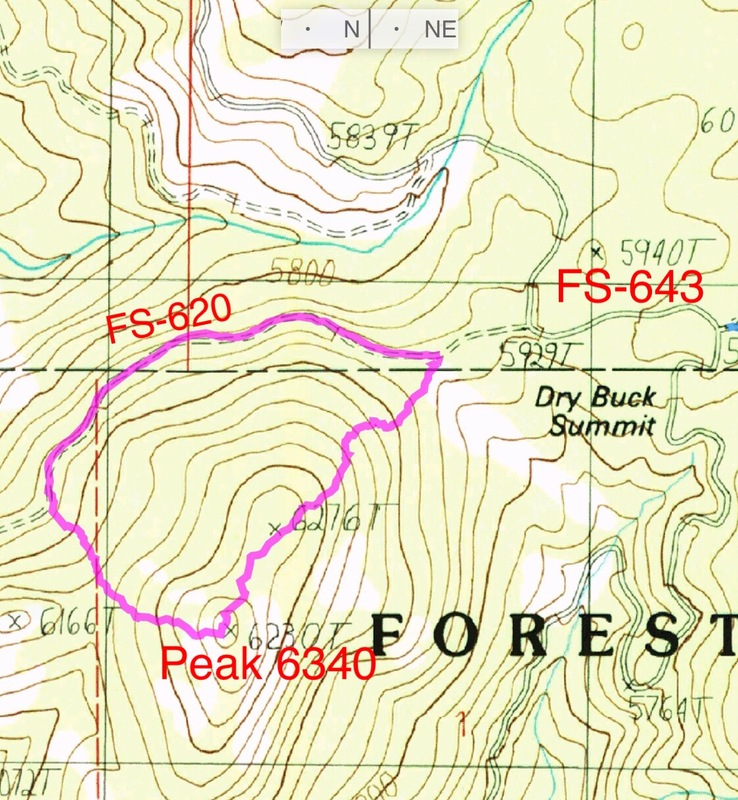 It is a short climb to Peak 6340’s summit from Forest Service (FS) road 620, which traverses the peak’s north and northwestern slopes. 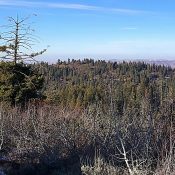 The summit area is open and has a great view of Squaw Butte. Peak 6340 viewed from Dry Buck Mountain. Use the Dry Buck Mountain access to reach Dry Buck summit. From this summit, drive west on FS-643 a short distance to its junction with FS-620. Turn onto FS-620 and follow it till you find a starting point that fits your mood. The only obstacles that you will encounter on your way to Peak 6340’s summit is an old fence or brush. The GPS track shown below marks my route. The easternmost line follows an old fence line up to the summit. The northwestern line is the recommended route as it crosses through more open slopes and avoids the barbwire spread across the other route. My GPS track for a loop on Peak 6340. FS-620 is a wide, well graded road. A 2WD can easily drive to the point where the westernmost line starts up the mountain. 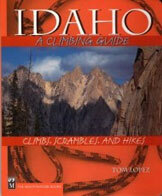 The loop covers 1.5 miles and 435 of elevation gain.